Nach der fantastischen neuen ”Skellefteå Serenade” EP wollten wir mehr über MOON SAFARI erfahren. Unsere Fragen beantworteten Bassist Johan Westerlund und Gitarrist/Sänger Petter Sandström. Hörspiegel: You just finished a tour through the northern parts of Europe. Tell us, how does it feel to be back home and what were the impressions of this tour? Johan: Everything went great, we broke even after about half the tour and we can now put our money and attention to the next recording. We did feel a kind of ”post tour blues” for a couple of weeks but that has passed now, so on to new and bigger things. We love our fans for making it possible for us to travel around the world and play and this experience has definitely strengthened our resolve. Also, I’m not gonna lie, the free beer does also inspire. Hörspiegel: Can you tell us a bit about how the band members met, and how it happened that you wanted to play this kind of music? Johan: I think our meeting was partly coindidental and partly due to the size of our hometown. We couldn’t help but meet in different musical contexts. We all played in bands (with varying degrees of quality and ambition) that all seemed to break up at the point of us starting Moon Safari. It was initially a side project to be honest. But, I think we all figured that this was a keeper quite early on. If you have fun together there’s no end to the possibilities. And we still have fun, so we’ll keep it up. Hörspiegel: In time for the tour dates you released a brand new EP. Please tell us a bit about the making of "Skellefteå Serenade" and your opinions about it. Johan: It was supposed to conclude Lover’s End, and it really does. Although the lyrical theme is as much dealing with our hometown in general as personal love relationships the city was always the setting for most of the Lover’s End lyrics so it still makes sense. We wanted to release it before the tour so we wouldn’t have to include it on the new album which is going to go in a new direction. Also, we have way too much material for the new one so it was great to get that song out the musical back pack, so to speak. 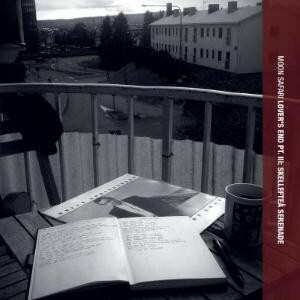 Hörspiegel: The "Lover's End" lyrical theme is a love story that seems to play in your hometown Skellefteå. Was it a real experience for one of you that was written down? Or is it all fictional? What else inspires you to write lyrics? Johan: Nothing is fictional, although in a way it’s all fictional. It’s all subjective experiences of love from different angles and from different distances. NYC Summergirl is both geographically and factully quite far from truth, but a song like Lover’s End Pt.1 is as true as lyrics can be. A good melody always inspire lyrics I feel. Seeing how Simon, who writes about half of our songs, does not write lyrics but melodies me and Petter have to make up words for melodies and that’s always a bit more challenging than just spitting out what comes naturally when you yourself write. But it’s really fun to write for stuff that’s not your own, you can distance yourself from the rather stressful context of writing from the heart and just let the melodies lead the way. 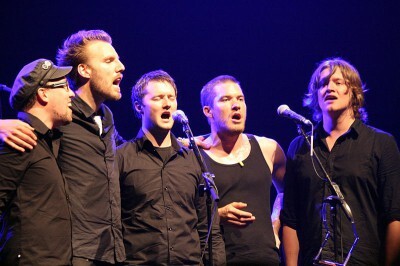 Hörspiegel: I discovered MOON SAFARI in 2010 through the DAN SWANÖ forum. Somebody recommended "The Ghost of Flowers past" and I immediately fell in love. Petter: I have never heard Unicorn. Might have to check them out, to see if there is a connection. Well, there’s a Swedish one at least. Hörspiegel: Your music slightly changed over the years without losing the trademarks and quality in the songwriting. Is every new output a step closer to the ideal you have in mind for your band? Johan: Yes, you could say that. I do however believe that there is no point in second guessing our old work. At the time of A Doorway we were quite happy with certain details in our music that we now see that we could have done more with. At the same time there are things with A Doorway’s relative ease that would be hard to re-create the better we get as players and as writers. Simon always says that you should learn all the musical theory out there and then just forget in all. After that you should start writing music. There is some truth in his feeling that the more you learn the more you might get restricted. But, at the same time there is of course always benefits with having different blueprints at hand to which you can compare that particular idea your working with and then get a image of what it could sound like, before you start putting into a finished song context. I think the new album we are working with is going to be our most censored and at the same time our most free album so far. We are at a place where we feel confident to a point that we’ll do whetever we like with very little concern about how it’ll be received. That confidence also comes from knowing that we have the right tools to be able to build whatever we we want, and the quality of it will still be great. The more you get to know about progressive rock as a genre the more you see that in the end it’s not the mellotron or the gabrielesque voices (that still seem so popular) that makes music progressive but the inventiveness and the spirit that comes from truly passionate musicians that like to jump into the deep end of the music pool. That’s also why the fans of progressive rock are the most picky and most appreciative music lover’s out there. They expect you to really pour your hearts out in every way and if you do the reward is equally great. Hörspiegel: Your vocal harmonies always sound really advanced, as does your songwriting in general. Did the members take musical education and have some of you been singing in a choir before? Johan: Well the Åkesson family has always been a singing family and Petter was named after a relative who was called something along the lines Petter the Fiddler, so I think there is more a musicul culture at play than a strict formal training. There is also a great difference between sitting around reading notes because you have to, and wanting to learn everything about music because it’s the only thing that seems to make sense to you as a person. The joy of music and singing is something that Simon preaches all the time and I think for all of us that phenomena is the key to our sense of melody. Also, the specific combination of people in the band is what ultimately makes it fun. And, if you consider the music we make an entention of who we are as a group I think you can tell that we can be fun and that we enjoy what we do. Without that you can’t really create art, regardless of what formal training you’ve had. 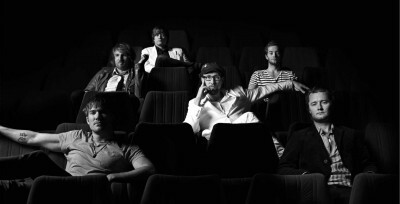 Hörspiegel: Which other bands have influenced MOON SAFARI? Petter: Well, I guess you can hear The Beatles in there somewhere. But we all listen to completely different things. I, for one, mainly listen to soul music and Springsteen. When we started Moon Safari me and Johan listened alot to the 70’s prog acts. Like Genesis and Yes. I really like the neo prog bands, like IQ and Marillion. Hörspiegel: What are the future plans for the band? Petter: To make more albums than Zappa, make love with more women than Coverdale and have some beer and fun along the way. Johan: I second that, and I’d like to add: travelling as much as we can while we do it. This last European tour really sparked something within the group. A sense that we can be great and relaxed on stage that only comes from reinventing yourself over a period of time. Touring is therefore going to be a more central part of the band in the future and I think we’ll develop even more as writers as we get more and more used to thinking of our music in terms of: what would happen if we played it live. Hörspiegel: Who the hell is "Rubber feet"? Johan: Rubber Feet is a local legend from our small village outside Skellefteå, Bergsbyn. When we grew up he was already very old and certainly an outsider. He lived in a run-down old house and spent his days riding his bike around all over Skellefteå and collecting cans to retrive what you guys call... Das Phand? Hörspiegel: Yes, its called ”Pfand”. Johan: We decided to use him as a character in Skellefteå Serenade because we felt like making people remember him but also beacuse his character gave us a vessle through which we could express certain views about our home town that would have been hard otherwise. His real life character was also something of a symbol for the disillusioned, loveless adult that everybody is in danger of becoming within our society. Hörspiegel: Thanks for your time answering my questions. The last words belong to you. Moon Safari: Hope to see you all soon on tour, we are eager to come back to Germany and we’ll keep coming back for as long as you’ll have us!